Early in November I found myself on a trip to Texas on family matters. While my trip was unexpected due to a passing I made the best of it. I was in need of a break and did what any pen fanatic in a new town would do. I Googled “Pen Stores” of course. I saw on the list that under an hour away was Dromgoole’s of Houston. 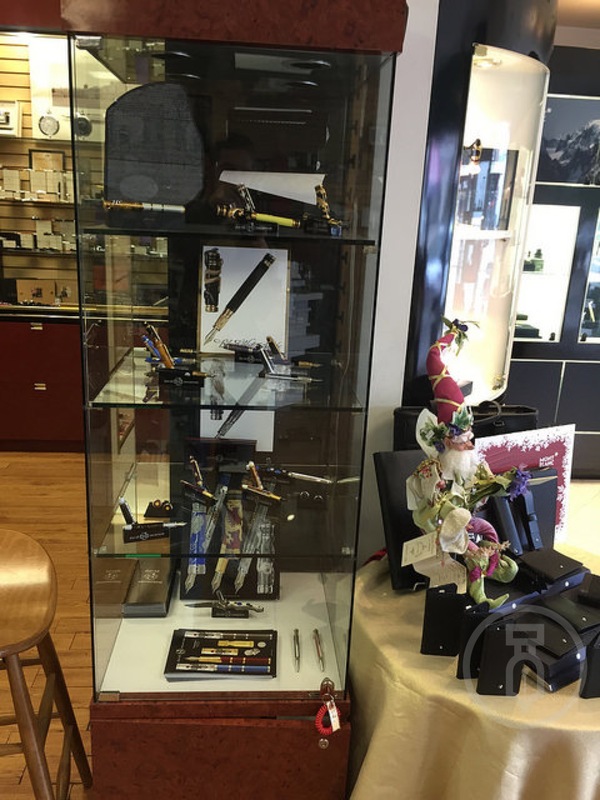 Dromgoole’s has been open since 1961 and a supporter of Fountain Pen Day since it’s inception in 2012. I emailed Larry to make sure he would be there the following day when I planned to visit. I emailed instead of calling because the store had already closed for the day. He promptly emailed back to say he would be there open to close. The next afternoon I set the navigation and off I went. An easy drive on the edge of Houston’s city scape. As soon as I saw the Dromgoole’s sign I felt the itch. Not knowing what was inside this store I had never been in I got that feeling you get as a kid when your going to an amusement park and you finally see a glimpse of the roller coaster. I parked and grabbed my camera, I knew I was taking pictures right away, and in I went. I was immediately greeted by Larry Dromgoole at the front counter. His hand extended as soon as we made eye contact and after a brief introduction we talked about Fountain Pen Day, of course, and what else was going on in the pen world. The store had customers and he was busy helping them so he kind of sent me off to look around. Well there was certainly a lot to be looked around at! Once I was able to take a moment and really start to absorb the depth of brand selection I started to feel as if I was at a pen show. When you first walk in on the right is a section of glass showcases dedicated to Mont Blanc. The selection was not just a few but many many Mont Blancs. 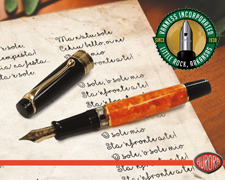 From the new 90 years edition & 90 years special edition classique to the writers editions. Daniel Defoe, Starwalker, Heritage, Meisterstuck were all there for the taking if your wallet can handle it. This was just the start of my tour as around the corner was a 7” tall glass David Oscarson case that was just a buffer before the wall of Visconti. If it was Visconti it was there. 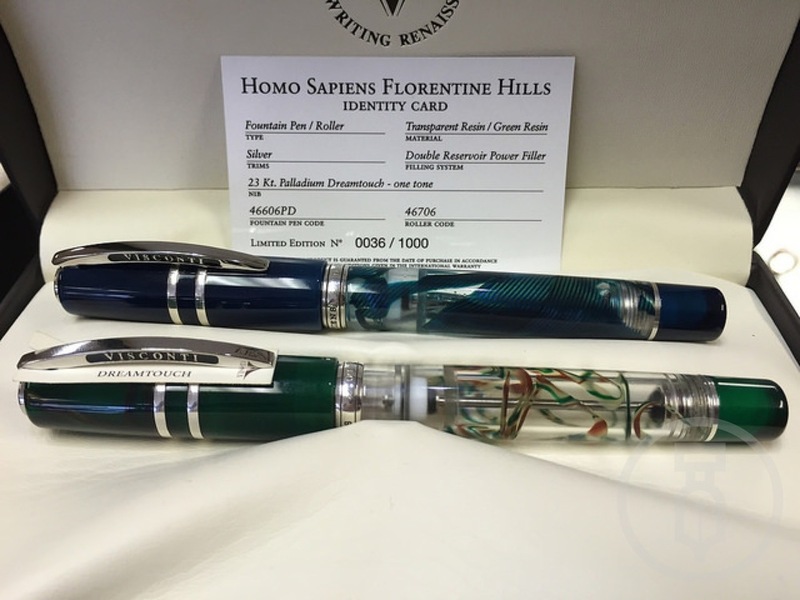 Both the newestHomo Sapiens, Crystal & Florentine Hills, as well as the original in bronze or steel. Divina’s, Rembrandt’s & Operas oh my. It was amazing to see so many packed into a few display cases. Even a Jacques de Molay was there next to an Istos Aracnis & Salvator Dali. For me the beauty was in one of my all time favorites that he had one piece of as well, a Divina Desert Springs LE. The next case was filled with Aurora, Omas and Montegrappa. A full selection of the limited editions in those brands were available. The 360 and Arte Italiana with the stunning Arco Celluloid was just a tease. The new LE Auroras were really nice but actually a little smaller then I had thought they would be. The Oceania and Optima Demonstrator were my favorites. There was also a nice Krone display as well. Keep going past that and there is a wall of ink. You could spend a long time looking through the massive selection. There were a few of the hard to find inks as well. It was fun looking behind to see if anything was lurking that the last ink obsessive collector might have missed. Mont Blonc, Noodlers, Private reserve, Visconti, Lamy, Diamine, Omas, Waterman etc. That was a good 1/2 hour of my time there. Next to the wall of ink was a case dedicated to William Henry. He had knives and pens from the collection. While I was not familiar with them Larry was happy to educate me. I was impressed with the workmanship put into the pens he came out with. Every aspect of the well balanced pens were perfect. It was not inked so I did not write with it but the custom 18k nib looked all business. If you get a chance to see one in person make sure you do. There were 2 or 3 cases after that which held the Pilot and Taccia brands. The Taccia case had a Tanto LE that was larger than I expected in person. As well the Pilot Custom 823 Amber was in a gift set. Theres a pen I am destine to own one day. It is a bold and big pen that really has such an aura of elegance about it that most demonstrators just don’t have. The new Vanishing points were all in attendance as well as many more affordable Pilots too. 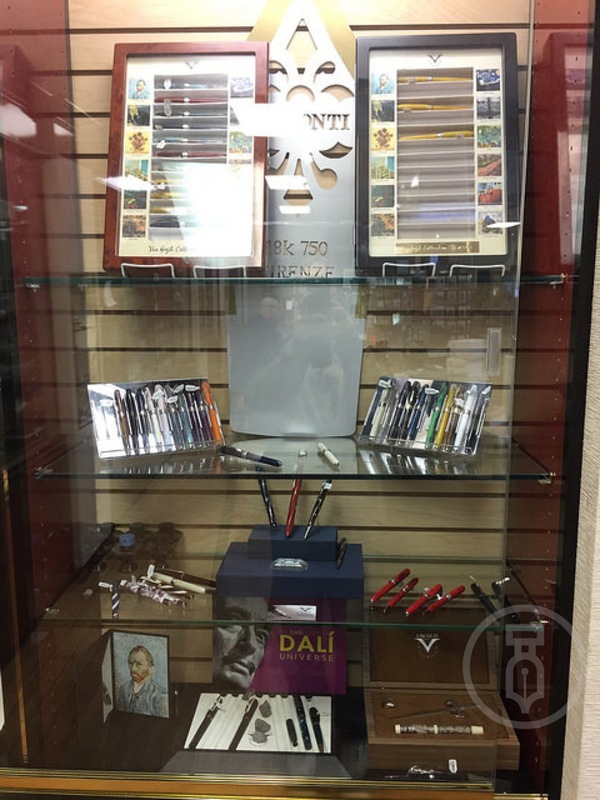 The center of the store has a large walk-around case that was filled with a huge Pelikan section as well as Platinum. Pelikan was in full force with everything in the line represented. If you ask for it he probably has it. M200’s, M400’s, M600’s M800’s M1000’s as well as limited editions and the rhodium trim versions. Of course he had the newest M101n Red Tortoise and that’s one that caught my eye immediately. We can save that pen for a little later. The Pelikan station was overwhelming and hard to take in all at once. You could spend an hour there alone with no problem. The Platinum section was well stocked also and finding a 3 tine music nib was easy. That was when I decided I needed to try a few pens. So I started with a Platinum music nib as I had never written with one before. Larry was more than happy to get one inked up and in my hand to try. Thats when he said you have to try them to decide and get a feel for the pen. That was something that made his store so nice and inviting, having someone want you to try a pen and handle it. While I did have access to pretty much everything in my line of site I was very adamant to ask before touching or handling anything. Larry was extremely gracious as he never said no. 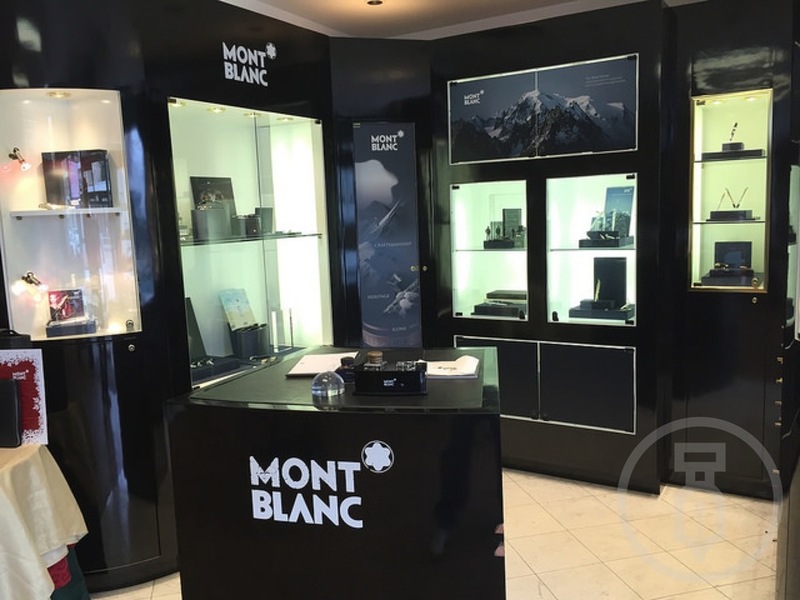 He walked me over to the Mont Blanc section as well to unlock the cases and hand pen after pen to try. Before I finish up my story theres a little more to it. Larry got his hands on a very good sized collection of Danitrio! This is where my heart fluttered. 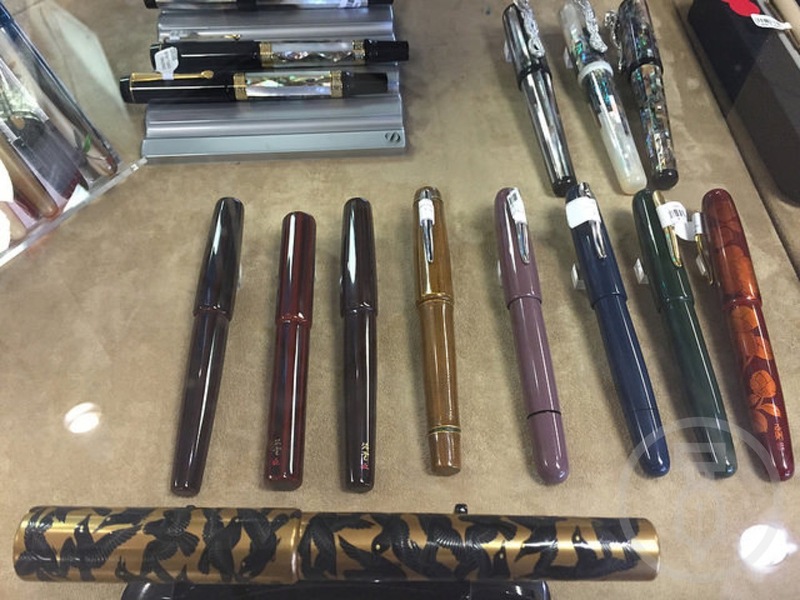 I stared at the case that was in-between the Pelikan’s and Platinum’s and was in awe. There was about as close to a full representation of the line as you could have. Including a full sized Sho-Genkai with full Maki-e work and the killer #8 nib. Of course it was pulled out of the case and placed in my hand. As he placed it in my hand he informed me that the pen was $20,000. I don’t think I took a breath while holding it but I did manage to uncap it and peek at that glorious nib. Have no fear there are many Danitrio’s that are in the price range we are use to seeing. It is very rare to see this in a retail store in the US I can assure you. Of course there was a huge selection of paper, notebooks, cards, journals etc in the back part of the store. Everything you could want was there from all the premium brands. Up front was a great selection of leather goods too. The store was stocked with a full days worth of shopping and a staff to guide you with whatever you needed help with. They also have a high tech setup for greeting cards and invitations. While I don’t know much about it I noticed that there was someone at the table the entire time I was there. Not the same customer but many. I asked if that was normal and Larry smiled and said yes the invitation business is always busy there. They also have a gentleman, Stephen Pustilnik “The Pen Doctor”, who comes in on certain Saturdays to do nib grinding and adjustments. Theres no permanent schedule as he actually is a Doctor. Events are common as well. I know Krone was there in November as well as Delta and William Henry. My visit was not quite complete yet. Larry went to the back somewhere and came out with a wooden pen box. Placing it on the counter he said these are my favorites. He opened the box to show me his own personal collection of pens. I was flattered he wanted to share them with me. Not only to view but to hold if I wanted. 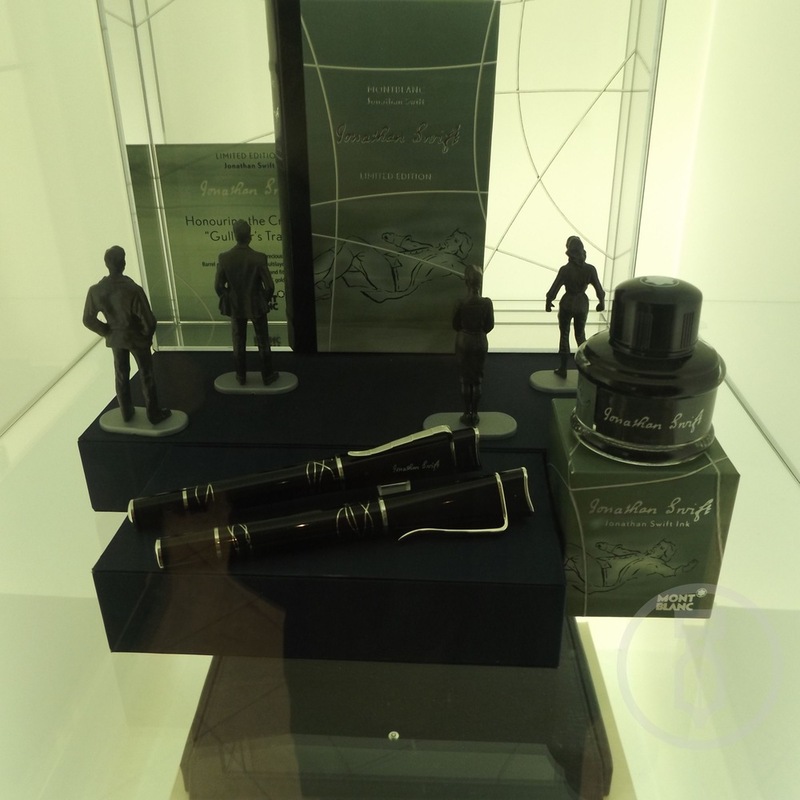 While the Mont Blanc Oscar Wilde caught my eye it was the Mont Blanc Hemingway that stopped me in my tracks. Of course I asked first if I could hold it and was told of course I could. Wow was that awesome to pick up and uncap to view in all its glory. Theres something about seeing just what another collector and lover of fountain pens decides are the grails to keep. Especially when your looking at the collection of someone who has seen them all at one point or another. It was the highlight of my visit, which was 3 hours by the way. I don’t know how time went by so fast but it really felt like less than an hour. 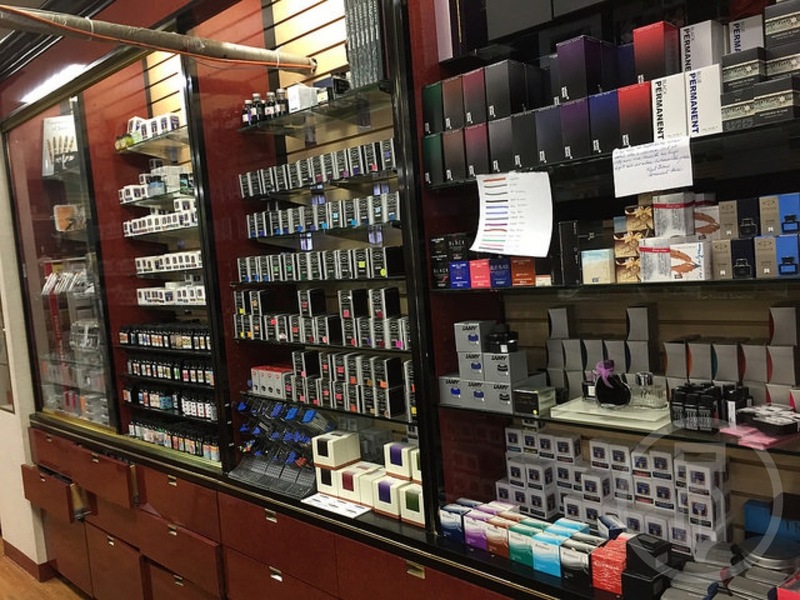 I left with the beautiful Pelikan M101n Red Tortoise w/Broad nib, a couple of Rhoda Ice Pads, a bottle of MB Love You scented ink & MB Honore de Blazac ink. Score! It was a wonderful trip to a fantastic store with an owner who is carrying on the family business with pride and passion. This is a store you must visit if your in the area and if you live within an hour you are blessed more than you know.